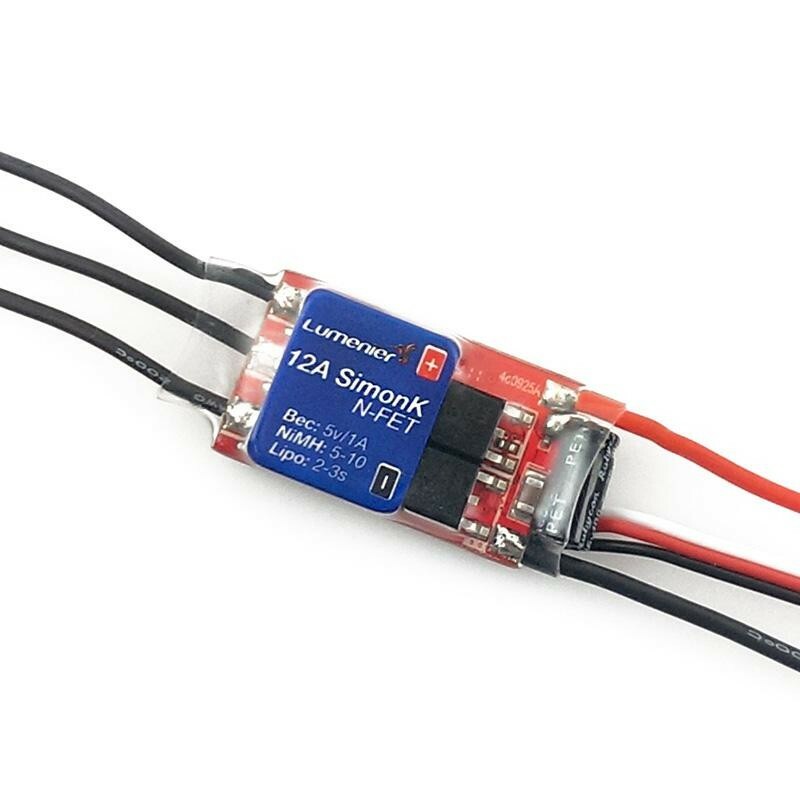 Lumenier 12 Amp ESC with SimonK Firmware is a perfect ESC to use with Mini FPV Quadcopters and Hexacopters, the small foot print of these ESC's make them the ideal choice for use on either the QAV250 G10 V2 or the QAV250 Mini FPV Quadcopter Carbon Fiber Edition. 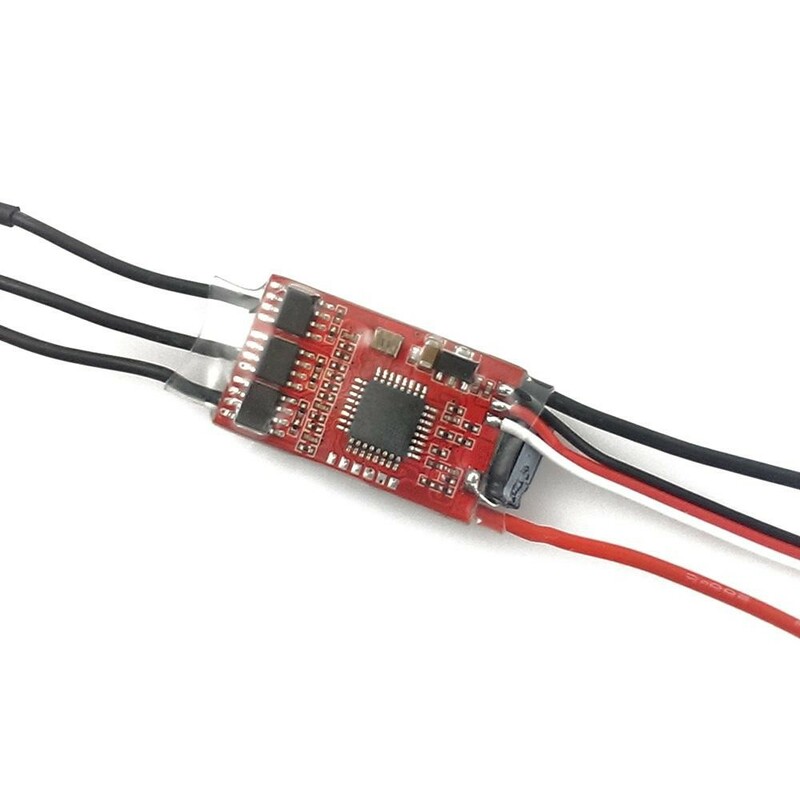 The ESC's only weigh 10 grams and with the small profile of just 31 x 18 x 7mm's they can be secured without taking up valueble space on small airframes. I used these on a QAV250 build. They work great out of the box. They come with bullets by default but I cut mine as I solder them directly to the motor. 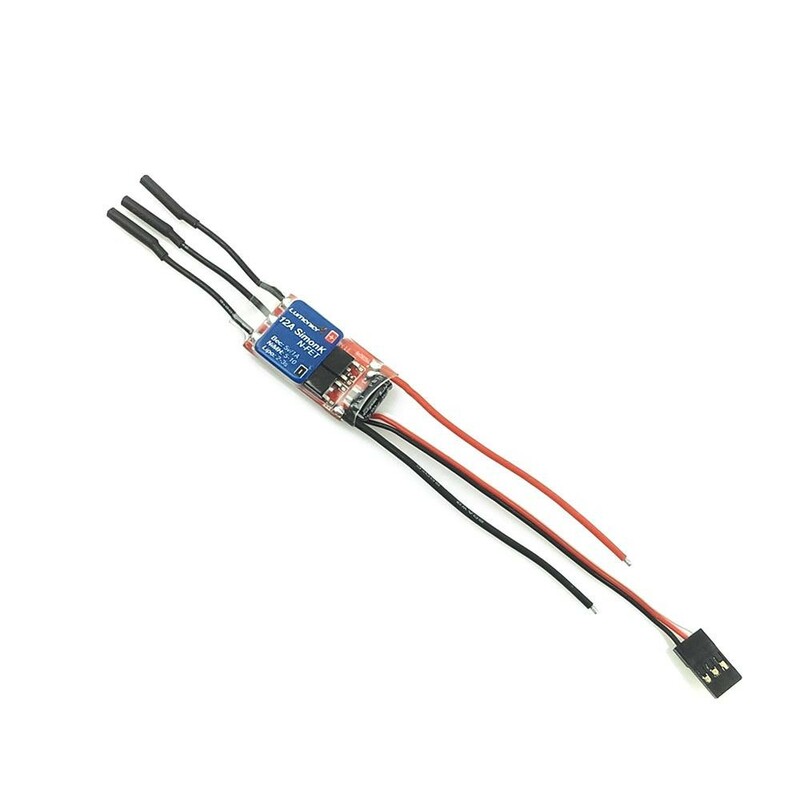 They are slightly longer than I wanted but it is fine for current build.I am curious if I can flash them with BLHeli if that's possible. Overall I'm very satisfied with them and BYOD team!